Does Arnold Schwarzenegger act the same in each movie because he’s a bad actor? Or because he’s playing … the SAME PERSON? 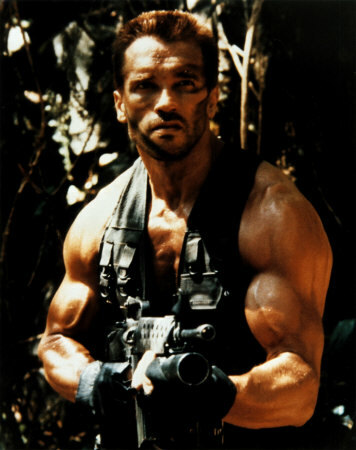 Arnold Schwarzenegger was one of the first action movie stars of the 80s. Perhaps he was one of the first action movie stars, period. His predecessors to that title – Steve McQueen? Clint Eastwood? – had dramatic credits to their name as well as escapist fare (Papillon, Play Misty For Me, etc). But Arnold Schwarzenegger will never direct Million Dollar Baby. Explosive action movies sit at both the beginning and end of his range. 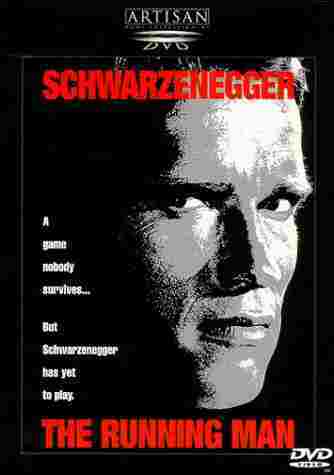 Consequently, not many critics take Schwarzenegger seriously as an actor. He’s a muscle-bound lunk, they claim. He’s nothing but a stony face and some catchphrases. He always plays the same role. But what if that’s deliberate? Ten thousand years before the tribes of Abraham, in the time between when the oceans drank Atlantis and the rise of the sons of Aryas, a Cimmerian named Conan explored the world. He robbed temples, led brigands and slew sorcerers. He explored tombs, broke curses and rescued princesses. By the time his destiny was fulfilled, he wore the jeweled crown of Aquilonia upon his troubled brow – king by his own hand. In his old age, after foiling a plot by rival factions to usurp his throne, King Conan received a vision from Crom, ancient and terrible god of the Aquilonians. Crom applauded the valor with which Conan had lived. 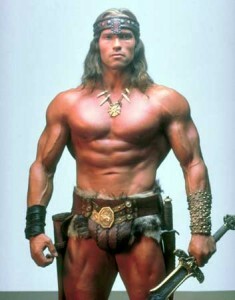 As a reward, Crom gifted Conan with immortality. COME ON! KILL ME! I’M HERE! KILL ME! Aquilonia vanished beneath the sands. So did Hyboria, Stygia, Kush, Mesopotamia, Phoenicia and Sparta. Yet Conan endured. For fifteen thousand years Conan wandered from one nation to another, seeking wisdom and selling his sword. His accent became a strange mixture of every European tongue – an impenetrable Central European slur. Finally, Conan migrated across the Atlantic to the New World. He fought for the Colonies. He fought for the Union. He fought against Hitler. And he always won. In the Eighties, John “Dutch” Matrix was the last generation of a family that had served in the U.S. military for over a century. In reality, of course, he was the same man – having fought for the same country though a series of fake identities for countless years. But Matrix had found a cause he believed in and a renewed willingness to fight. Central America changed all that. Dispatched to the jungles of Valverde, Matrix and his commando unit encountered a creature beyond their nightmares – an alien predator that could turn invisible, vault dozens of feet at a time, and kill at a distance with advanced weaponry. Matrix knew, as soon as he saw the skinned remains of the other rescue team, that he was facing something that could slaughter his entire team. But he pressed on. Not because he owed his friend Dillon any favors. Not because he valued his mission. But because he thought he’d found a warrior that could kill him. But the alien couldn’t beat him, and Crom had made Matrix incapable of suicide. So Matrix walked out of the jungle, taking Anna (the guerilla’s prisoner) back to the States. He abandoned the warrior lifestyle, married Anna, and settled down to something he’d avoided for one hundred and fifty centuries – a family. Anna died young, leaving Matrix alone in the hills of Los Angeles with his adopted daughter Jenny. He thought he had escaped an eternity of war. But his past exploits in Valverde caught up with him. President Arius kidnapped his adopted daughter, forcing him back into action. Matrix knew a life of peace was forever beyond him. So he continued wandering. Let’s pass over his brief stint as a small town sheriff, or when he posed as the result of genetic engineering to topple a government conspiracy with the aid of a local hustler. Instead, let’s follow the man called Conan, or Matrix, to the year 2019. Conan/Matrix, now going as “Ben Richards,” topples the privatized Department of Justice when he leads a riot on the set of The Running Man. The United States faces its greatest internal threat since the Civil War. Food riots, already at a violent pitch, turn into massacres. Politicians can’t show their faces without getting shot at. And hundreds of millions of Americans watched Ben Richards shoot Killian out of a rocket-sled on live television. The Eternal Warrior became the face of revolution. In the face of imminent collapse, the U.S. turned to a last-ditch hope: Cyberdyne Systems. A hush fell over the committee chambers. Skynet became self-aware. It launched the first round of missiles. The nuclear holocaust came. John Connor fought back. When John Connor and his resistance fighters breached Skynet’s headquarters, they saw, to their horror, the temporal displacement unit had already been completed. Skynet had sent two Terminator units into the past – a basic T-800 to kill Sarah Connor, and the advanced “liquid metal” T-1000 to kill a young John Connor. Connor sent Kyle to protect his mother, and the first T-800 to stop the T-1000. But while he deliberated on what to do with the second captured T-800, something incredible happened. “You must send me back, too,” the Terminator said. The time portal hurled the Terminator with Ben Richards’ face as far into the past as it could. The shock of traveling a mere sixty years through time could stun a normal human, but the shock of traveling thousands of years would kill one. Even the Terminator barely survived. When it awoke, it had no memory of its past. It had vague recollections of escaping slavery and worshiping a god who lived under a mountain. It knew that its barbaric love of combat was tempered by a desire to protect the human race. And it knew that it had a destiny – to become king by its own hand. And so the Terminator, calling itself Conan once more, continued its long and lonely march through history. Having forgot that it was a machine, it lived as a man. He is the guardian of our species, defending us from our own base desires. He will never stop. He will never leave us. 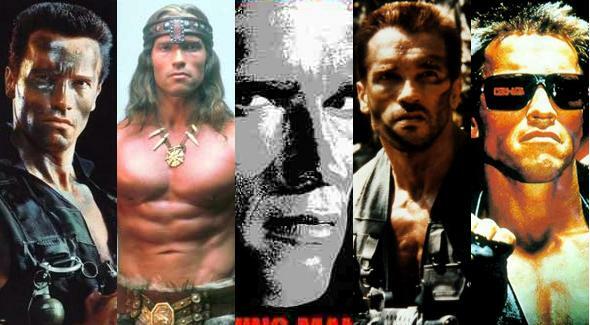 He is Conan the Cimmerian, John Matrix, Ben Richards and the Terminator. He is the Eternal Warrior. John Perich lives in the Boston area and writes about current and classic pop culture. He's the author of the gritty crime thrillers Too Close to Miss, Too Hard to Handle, and Too Late to Run. Get email-only exclusives from Overthinking It right in your inbox. I’m still not sure what I read, but it was fantastic. Pure genius. Your CPU must be a neural net processor. Holy. Balls. That was the most epic thing I have ever read. I assume that any appearances past Skynet’s time (The 6th Day, Total Recall) would still be the original Conan/T-800 continuing on his quest? Can this idea be applied to Christopher Lambert? Are Connor McCloud, Tarzan and Lord Rayden the same person? Uh, how’d the T-800 get Anna pregnant? Alright, I’ll play Devil’s Advocate here and point out the few holes in your magnificent theory. Allow to overthink your overthinking. The first being, what happened to Ben Richards? We know that he escaped The Running Man, and the furious Department of Justice put Richards’ face on T-800s which John Connor then captured and sent back in time. Where did Richards go? If he is indeed, the Eternal Warrior, did he just sneak in, getting beat on purpose, posing as a T-800? 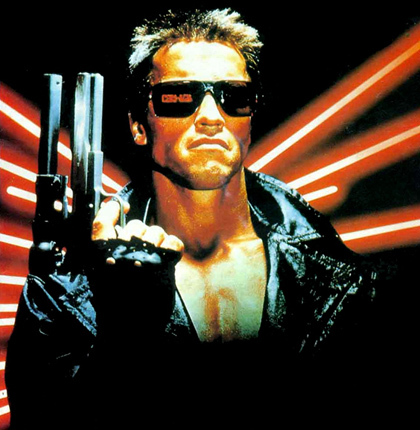 The only other problem I see is… the power source of a T-800 can only run up to 120 years. To be the Eternal Warrior would have to require more than 120 years. He’d have to juice himself up, Crank 2-style, and seeing as how he genuinely believes himself to be Conan, that would be difficult. (1) Ben Richards was killed by a T-800 impersonating him, clearly. This T-800 discovered that “Ben Richards” was, in fact, a T-800. This led it to realize that it needed to go thousands of years back in time. (2) Crom gave the T-800 the power/curse to live forever. Aha! I just watched Ultimate Reality last night. Your essay makes perfect sense. I’m gonna send a link to Dan Deacon! This is merely Wolt-Newton shennanigans a la Philip Jose Farmer. Weaving these sorts of stories together almost always produces the same result: Eternal Warrior. Well, obviously, we as mere short-lived mortals aren’t allowed to know the “truth”; therefore above mentioned comedies are placed in our way to have someone else state as above – theory disproven. so – what I want to know is – how do we get rid of Crom? after all, the general theory to get rid of gods is to have no one believe in them …. Great post. Very creative! By the way, the above comments “*slow clap*” and “*weeps* yeeeessss…” are the funniest things I’ve seen in a long time. Thanks! Crom… This is so amazingly kickass I think I’m gonna fall in deep coma from reading too much of this amazingness. Humberto: you’ll note I make reference to “Twins” in the original post. However, this theory can only adequately explain Arnold’s 80s output. It falls to better theorists than I to defend some of his choices in the 90s. I’m mildly intrigued by the challenge of incorporating EVERY single Arnold movie. Maybe after the events of True Lies (’94) he goes into the safer job of witness protection (Eraser, ’96). He falls in love with Vanessa Williams and leaves Jamie Lee Curtis. But when that falls apart, he marries a new woman with a young son, in time for 1996’s Jingle All the Way. When his new wife falls ill with MacGregor’s Syndrome, he becomes a scientist, and eventually the supervillain Mr. Freeze (1997). Oh, and speaking of becoming king by his own hand… in Around the World in 80 Days, Arnold plays a king. And it’s a period piece, so we can set it before his crazy 20th century. After 15,000 years, Richards had developed some cognitive malfunctions (note his hallucinatory fugues (Total Recall) and the instability of his personal relationships (see Blinkie’s comment above)) which no doubt impaired his fighting, though still it took a fully functioning Terminator to defeat him. Why not have total recall actually happen, Ben richards survives the Skynet purge somehow and humanity recovers and expands to mars where he lives out total recall. You forgot T3 but that just requires another terminator to be sent back in time. The Last action hero is an alternate universe the only one that doesn’t really fit is Batman and Robin. this is so beautiful i feel like crying. Episode 562: If Winter is Coming, Can Spring Be Far Behind? LEAVE? HOW ABOUT JOIN? Captain Britain Will Debut in Avengers: Endgame! Support Overthinking It when you shop at Amazon.com or Amazon.ca or Amazon.co.uk. Copyright © 2008–2019 Overthinking It. All rights reserved. Designed by Wrather Creative using Roots Theme. Powered by WordPress.